“May the Force be….”, you know the rest. Everyone knows the rest. My mother knows the rest of that sentence and she thinks Jedi and Sith are foreign spices in her ethnic food cabinet. Despite a ten year drought of a Star Wars film, the franchise has been more ubiquitous than ever. Even though there has been no feature film, there has been the TV hits Clone Wars and more recently, Star Wars Rebels which is just now hitting its stride as Episode VII looms just a month away from multiplexes. Just a few weeks ago after Episode VII’s newest trailer, ticket sales on sites like Fandango shut down because Star Wars was literally breaking the Internet. Ted, Andrew, and Sam welcome the brains behind Kings County Comics Kurt KC Christenson and his partner Odette Coquette to chat about their performance in their last comic cosplay themed variety show and their planned future events. Kurt tells the origin of the Kings County Comics collective and their roots to Brooklyn. Then we talk about the just released Star Wars trailer and mild spoiler… someone isn’t as thrilled about it as the rest. We also try to talk about Daredevil without giving any spoilers. And of course we discuss out top picks of the week! 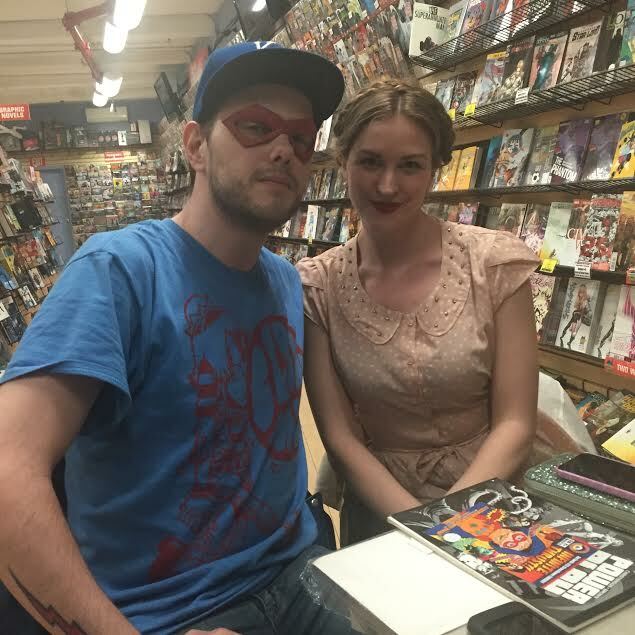 To read the books that we talked about in this episode visit www.midtowncomics.com and have them delivered right to your door anywhere in the world.